There is something about being this close to the equator that makes all the nasties and germs come out to play, like they are airborne just waiting to make you sick. So… apologies for not having more posts to share recently, I seem to spend more days sick than healthy here. So I’m getting back on the green smoothies (minus the berries which sadly don’t exist here) and back to the gym to get healthy again. 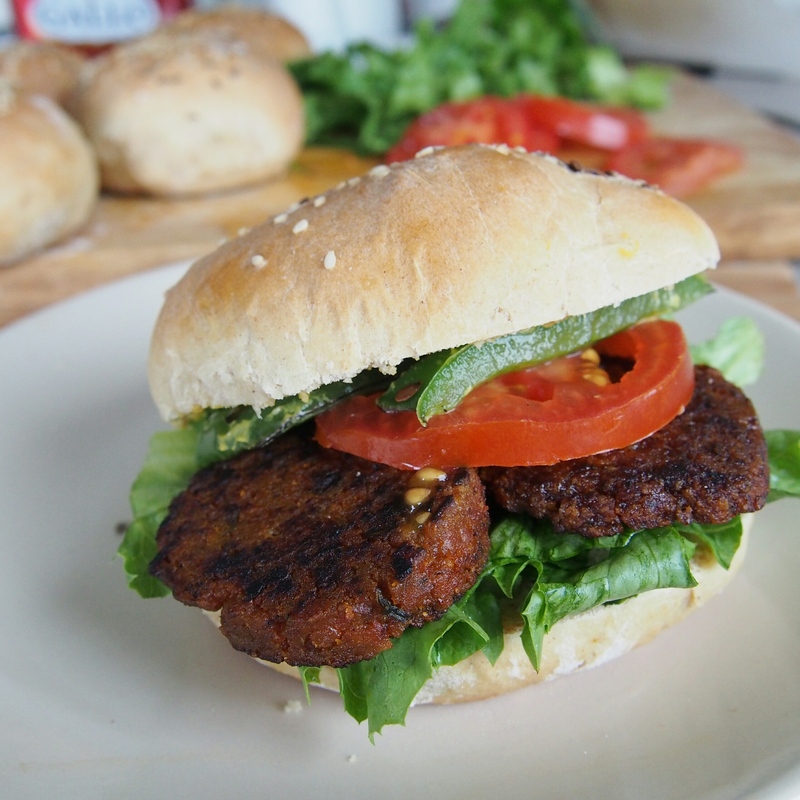 This sausage recipe is one I really like to make… or did before we ran out of gluten flour. Now all our seitan is make the old traditional way from plain flour. I keep thinking how easy and convenient it is to go to any supermarket or health shop in UK and find fast and easy ready made vegan sausages, so this recipe is for people who live in parts of the world where veganism isn’t so easy, but to show it’s never impossible. Note: If you have no idea where to find gluten flour, can’t for whatever reason order it online then try your local bakery. 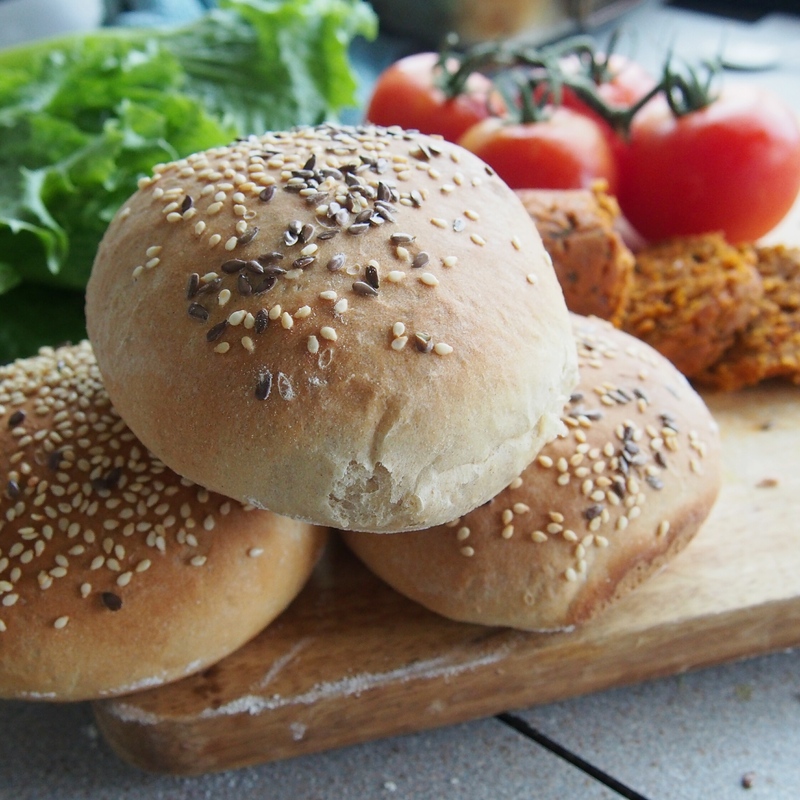 It’s very often added to the dough in bread making… maybe they can help you find a supplier or sell you some. Take all of the dry ingredients and mix together in a bowl. Whisk together the wet ingredients in a separate bowl, then pour into the dry. Mix together with your hands into a dough and knead for a couple of minutes. Form the sausage dough into a 6 x 4 inch log, and wrap up in metal foil, with the same technique used to make our Lincolnshire Sausage recipe, seen here. Place in a steamer and steam for 1 hour. Leave to cool. At this point you can unwrap and refrigerate the steamed sausage until needed. 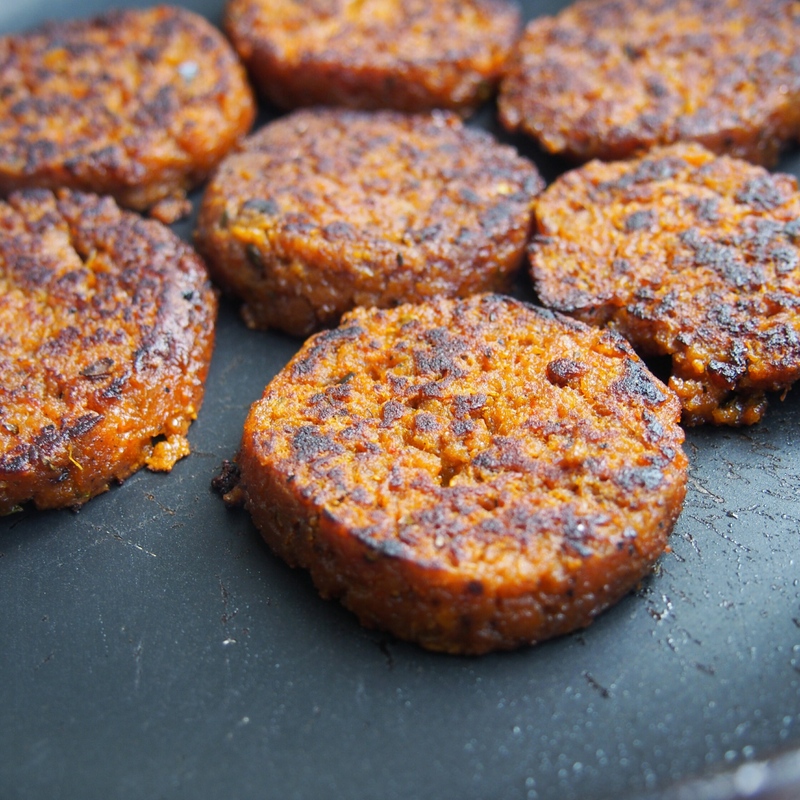 When ready to use, slice the sausage into patties about ½ inch thick, flatten with the palm of your hand a little. Heat a little olive oil in a non stick frying pan, add patties and cook on a medium heat each side a few minutes until golden and crispy. Serve however you wish… in salad rolls, alongside a huge English fry-up for breakfast, maybe even sliced up on pizza. Enjoy!